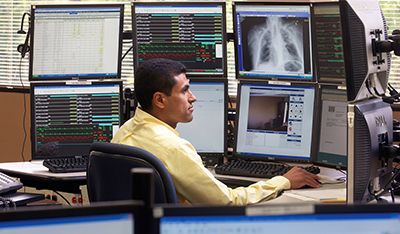 Philips eiCU program combines predictive analytics|! !| data visualization and advanced reporting capabilities to deliver vital information to bedside caregivers. Technology health company Royal Philips has formed an agreement with Dartmouth-Hitchcock Health to implement Philips' eICU remote monitoring program. The program aims to help reduce mortality, length of stay and ventilation days while providing patients the care they need, wherever they are located. The move toward the technology is driven by the fact that hospitals and health systems across the globe are facing increased pressures from lack of beds and overcrowding to changing reimbursement models and an ongoing intensivist shortage, according to a press release from Royal Phillips. Only 47 percent of ICUs in U.S. hospitals currently employ full-time intensivists, a number that is expected to continue to drop. In widely dispersed communities, leveraging telehealth technology can help rural hospitals increase access to quality care by providing the bedside team with expert guidance and 24/7 monitoring of critically ill patients, said the companies. 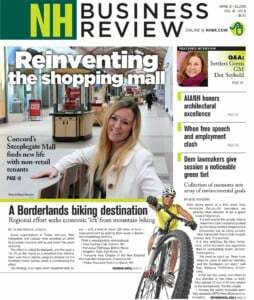 "As New Hampshire's only tertiary care medical facility, demand for our services is high," noted Dartmouth-Hitchcock Chief Clinical Officer Edward J. Merrens, MD, in a press release. "The use of telemedicine across the D-HH system and around the region aligns with our mission of providing the best care in the appropriate setting, whether it be at DHMC or at the patient's local hospital with the support of Dartmouth-Hitchcock specialists." Dartmouth-Hitchcock's program will start with medical, surgical, and neurology intensive care units at DHMC, along with the intensive care unit at Cheshire Medical Center, a D-HH system hospital. The program's tele-ICU hub will also be located at DHMC, where it will leverage Philips IntelliSpace eCareManager, the program's source-agnostic software, providing clinicians with a single integrated view of patient data. Philips' eICU program combines predictive analytics, data visualization, and advanced reporting capabilities to deliver vital information to bedside caregivers. By receiving this remote support, the bedside team is empowered to make better informed, more efficient, and more effective value-based care decisions. "For Dartmouth-Hitchcock, the tele-ICU program will help their clinicians better serve their patient population while eliminating the need to travel to get that level of specialized care," said Felix Baader, Business Leader of Monitoring Analytics at Philips. "This same technology can also help health systems better manage physician burnout, or in other cases, capacity management. Health systems face many different challenges across the globe, and it's gratifying to see how one solution can be adapted to address unique challenges to achieve the same goal: better care and better outcomes."